I went looking for Moqui Marbles in the Grand Staircase Escalante National Monument in Southern Utah where I made this Moqui Marble Cairn and then created this small painting. 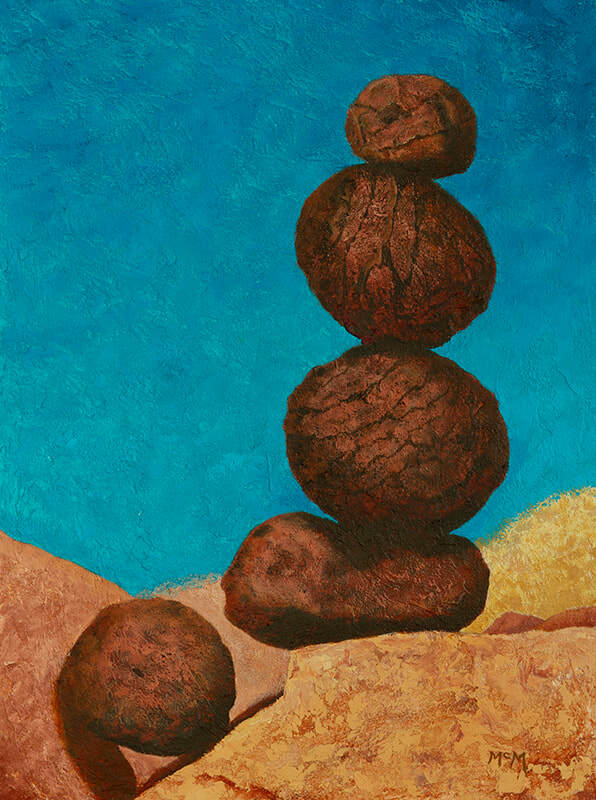 The cairns in this painting are about life size. Because of their roundness it took a long time to create this Cairn. Cairns are rocks stacked on top of each other. All over the world, from ancient times until present, from mountains to deserts and coasts, people have built cairns. Sometimes they mark a significant place or tomb, serve as communication, mark a trail, or have a religious purpose. In my travels I come across cairns all the time created and left behind by other creative rock lovers. I like to think of my cairn paintings as collaborations with rock lovers I’ve never met. 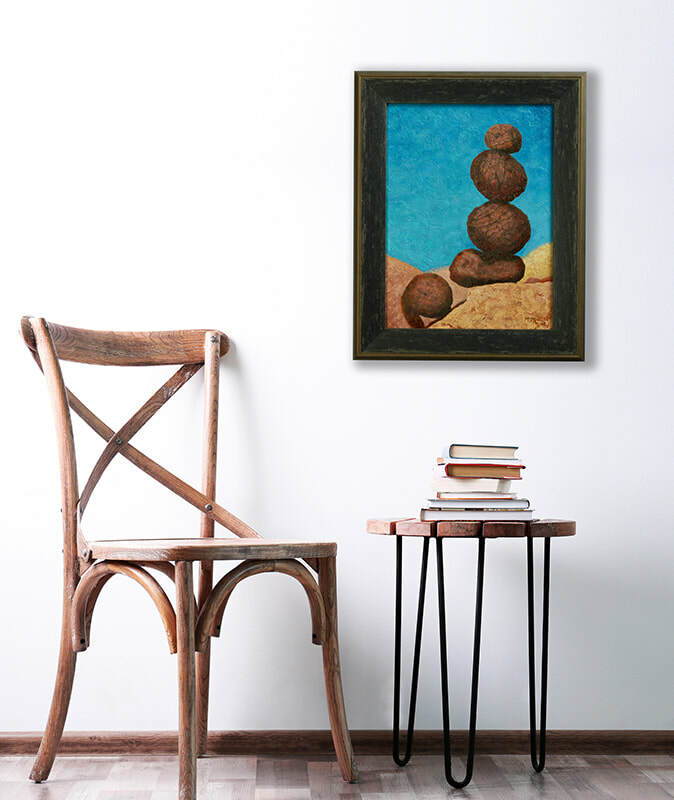 ​Moqui Marble Cairn is sold unframed but the frame shown is available for an additional cost.